"The Man In The Basement"
Showtime released “Fair Game” on streaming platforms a full two weeks ahead of the scheduled premiere. I haven’t the faintest notion of all the variables that go into a decision like that, but generally the idea is to drum up excitement about the new season by getting fans and critics buzzing about it during the run-up to the premiere. 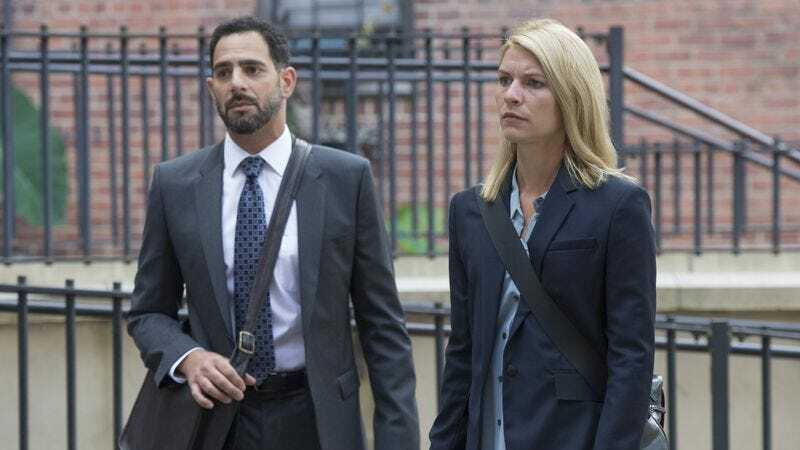 The gambit makes perfect sense in many cases, but it makes none for Homeland, a show that’s incapable of displaying the best it has to offer within the season premiere. It would come as no surprise as if the people who watched “Fair Game” early, as a reevaluation of the show’s worthiness, found something else to do with an hour this week, and that’s too bad. A two-hour back-to-back premiere would have probably been a better bet, because “The Man In The Basement” makes a far stronger case for giving yet another Homeland demi-reboot time to reveal its hand. All Homeland ever really needs to regain its footing is to give Carrie Mathison the opportunity to go rogue. While the locales and threats might change, what remains constant is Carrie’s compulsion to do the thing she feels must be done, the thing she thinks everyone else lacks the moxie to do themselves. Carrie gets that opportunity before she and her new partner-in-innocence Reda have even gotten that far into their new client’s case. When Carrie finds out Sekou Bah’s cameraman and benefactor Saad is actually an undercover informant for the government, she tells Reda the only way to reveal Sekou’s incriminating but harmless motives is to confront Saad and get him onboard with helping Sekou. But the judge buys the government’s argument that Saad’s identity must be concealed for the sake of national security, so there’s no way for Carrie and Reda to question him. Reda hasn’t been working with Carrie for long, but he already knows her well enough to realize that he has to repeat the court’s order to Carrie and get verbal affirmation that she understands him. Naturally, Carrie pays no attention to Reda, the judge, and her new nemesis Conlin, and goes to confront Saad anyway. There’s nothing surprising about Carrie’s decision to flout a direct order. After all, the first time the audience meets Carrie in the pilot, she’s sparking an international diplomatic crisis by sneaking into a Middle Eastern prison to speak to an asset set to be executed. Once she figured out Nicholas Brody was the vengeful prisoner of war, she illegally installed surveillance equipment in his home and kept it a secret from Saul as long as possible. But credit is due to Chip Johannessen’s script, which makes Carrie’s moves seem mysterious and surprising even when they’re not. He accomplishes the surprises with old school sleight of hand. For example, when Carrie gets an emergency text and abruptly abandons her conversation with Reda, the natural assumption is that she got an update on Quinn. Instead, in the episode’s biggest surprise, Carrie goes to a presidential suite to meet with President-Elect Keane and Rob Hemmis, her chief of staff, who Carrie’s been advising on national security issues for months. The trio panics while comparing notes about Carrie’s tense meeting with Saul and Rob’s equally tense lunch with Dar Adal, and it becomes clear why Carrie is so happy with a job that keeps her out of the fray. Carrie was once “The Drone Queen,” and this season is all about her penance, her attempts to counterbalance her contributions to the aggressive, bloodthirsty campaign against radical terrorism. By day, Carrie works at the Muslim legal aid clinic (though I’m still having trouble grasping what her actual job is) and by night she advises Keane, who is apparently close to Otto During. In doing so, Carrie hopes to influence the incoming administration to protect America with slow-and-steady diplomacy rather than shock and awe. But according to Saul, it would be a huge embarrassment if anyone found out an experienced agent was the architect behind Keane’s non-intervention approach, so Carrie lies straight to Saul’s face about her involvement. Putting Carrie and Saul at odds in this way is different than the way Homeland has done that in the past. But that doesn’t change the fact that this show will always feel like it’s operating below its capacity whenever Carrie and Saul aren’t on the same team. 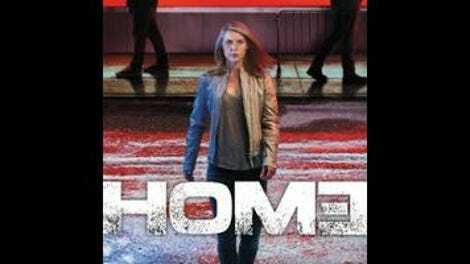 Homeland doesn’t feel like Homeland when Carrie and Saul are on different teams, just as it would have felt wrong if Reda said “Carrie, don’t go talk to Saad” and Carrie said “You’re right Reda, that’s the prudent thing.” Changing the show’s dynamic is vital to its longevity, and I like that as Homeland ages, it’s becoming a show about the cumulative toll the War On Terror has on those fighting it. At the same time, I wish there was a way to tell that story without making the show’s foundational relationship so touch and go. Last season only fully clicked into place once Carrie and Saul were back together trying to smoke out Allison. I suspect this season won’t be any different. But, also like last season, the writers are working overtime to move the show back to more familiar footing within the first couple of episodes. This time, Carrie and Saul aren’t exactly adversaries, they are working together begrudgingly to accomplish their broader, shared goals. Carrie suggests Saul head up the mission to intercept and interrogate an Iranian operative who has allegedly recruited a team of nuclear experts from North Korea to work on a parallel nuclear program in violation of Iran’s deproliferation deal. All of this is a step in the right direction, with Saul headed to Abu Dhabi and Israel to head up a covert mission and Carrie getting in over her head. I’m still trying to figure out how to feel about the Peter Quinn storyline, which is heartbreaking and effective, but doesn’t represent the version of Homeland I most enjoy watching. Rupert Friend is doing terrific work, as the full extent of Quinn’s brain damage becomes clear. And the final scene between Carrie and Quinn is beautifully acted. But in order to continue as a viable character, Quinn can’t just be a symbol of sacrifice, he has to actually do stuff. It’s not realistic to have Quinn suddenly turn into an action hero if his brain damage is so severe that he’s acting this out of character and having grand mal seizures during routine outings. But it’s also not realistic to think this can be Quinn’s only contribution to the show going forward anymore than it was to think turning him into a pincushion last season was a good use of the character. The new credit sequence uses the show’s signature format, this time sprinkled with fragments of national anthem and some Gil Scott Heron. I’m still not completely sure why the credit sequence has to be quite this spoilery. It looks like Saul will be kidnapped for like the 72nd time at some point. It’s also interesting that the final image is Carrie and Quinn reconciling, which suggests the show’s producers consider that relationship a central element of the show. The Sekou story is reminiscent of the enraging story of The Newburgh Four, which got the documentary treatment on HBO not long ago. This episode works much better than the first on a scene-by-scene basis. I wouldn’t have expected to enjoy a scene between Dar and Rob this early on, but I did.